Vaccinations During Pregnancy? Just Say No. Pregnancy is an amazing thing—it’s truly a complex miracle, and although we are learning more about fetal development every day the truth is that there’s much more that medicine has to discover. As a result, medical advice for pregnant women has shifted dramatically over the years. For example, women were once advised to gain no (or very little) weight while expecting—we now know that the developing baby needs much more nourishment and that gaining close to 30 pounds leads to a healthier baby. 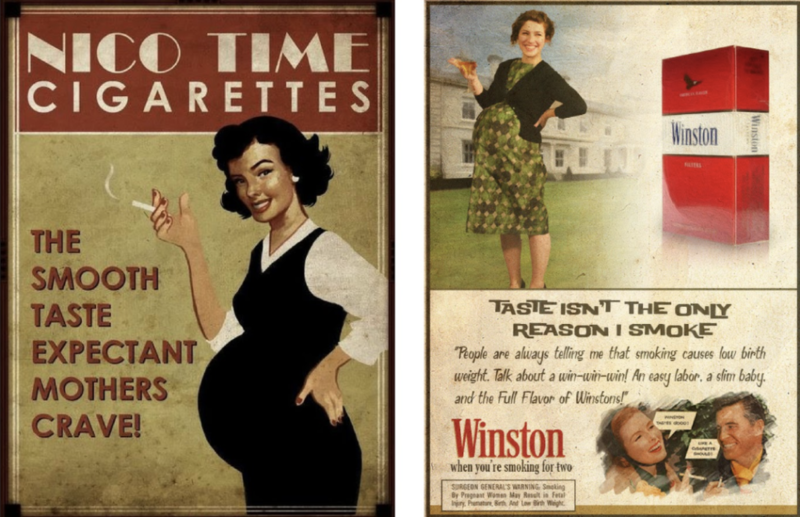 In the 1950’s, doctors would often recommend that their pregnant patients take up smoking. Yes, smoking. After all, smoking relaxes you and what could possibly be better for baby than for mother to be relaxed? Of course, it was later discovered that smoking while pregnant leads to premature labor, placental abruption, low birth weight, birth defects, and sudden infant death—to name a few. Today, doctors recommend that mothers not only quit smoking but also avoid second-hand smoke and even third-hand smoke…smoke left behind on clothing, carpets, etc. Objects that have been exposed to smoke, according to the March of Dimes, pick up toxins like lead, arsenic, and carbon dioxide—and being exposed to even this small level of toxins can cause cancer, asthma, and learning problems. 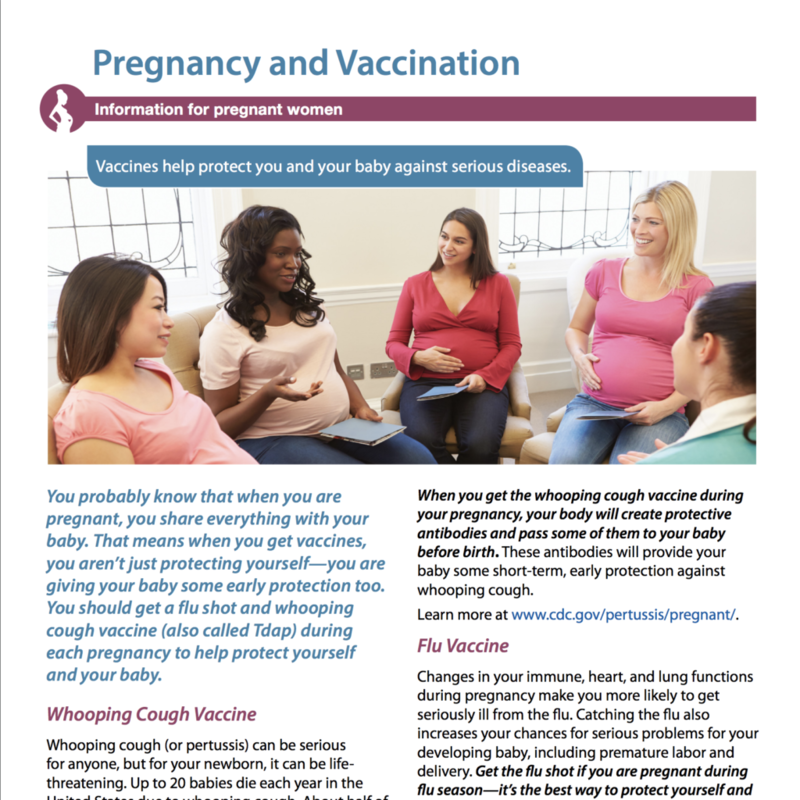 Today, doctors have started recommending that pregnant women be vaccinated with at least 3 vaccines during pregnancy. The DTaP, hepatitis B, and the flu vaccine are all recommended during pregnancy—to “protect” the baby once it’s born. The idea is that the mother will develop antibodies from the vaccine, which will then be passed on to the baby. But, like advising a woman to smoke for the health of her unborn child, vaccination while pregnant is a dangerous and harmful practice. The DTaP vaccine contains aluminum, which is known to cause neurological damage. An infant’s brain is in critical development during gestation and in the months afterward, and is especially susceptible to damage. Although mercury-containing thimerosal was removed from most vaccines due to its toxicity, the flu vaccine and the Hep-B shot are two of the few that are still allowed to contain it. These three vaccines, in particular, pose a serious threat to unborn babies—and yet, they are the very three being recommended by doctors today. As if the brain-damaging toxins in vaccines were not enough, there is a growing body of research that suggests that a mother’s own immune response can trigger inflammation that can cause autistic spectrum disorders in their children. Between the maternal immune activation, the aluminum and the mercury, vaccinating pregnant women is a disaster waiting to happen. The United States has the highest rate of recommended vaccines and the highest infant mortality rate of any developed nation—when will we wake up and see that the connection is not coincidental? We live in a society where women are cautioned against eating fish during pregnancy by the EPA due to potential exposure to mercury but are told that it’s healthy to allow mercury to be injected into their bodies at the very time their infants’ brains are in the most critical stages of development. Like smoking, vaccination during pregnancy will one day be viewed as a terrible idea that was pushed on women by doctors who were influenced by big corporations that are in it for the money. Phillip Morris and Big Tobacco have lost the trust of the American people, let’s hope that Big Pharma will soon suffer the same fate. Until then…if your doctor suggests vaccinations during pregnancy, say no and stand your ground. Let’s do our best to protect the next generation by exposing the insanity of prenatal vaccines for what it is: A harmful practice that puts money into Big Pharma’s pockets at the expense of our children’s health.